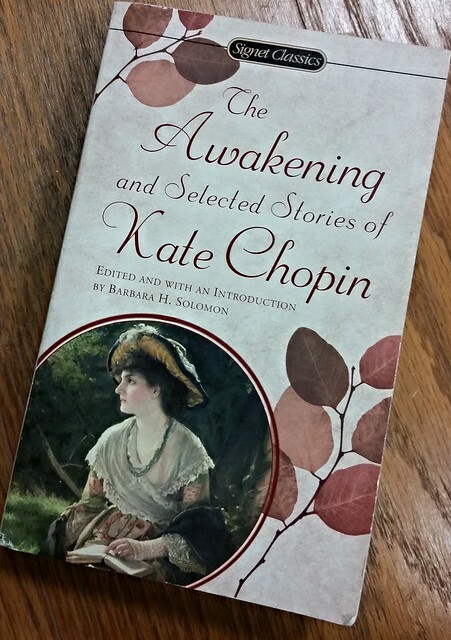 The book cover to The Awakening and Selected Stories of Kate Chopin. I just finished another section of Changing Lives Through Literature (which I've discussed before). This section was an all-women's group and the Monday before Thanksgiving, we had our final class and graduation. For the last two weeks of the program, we read a novel and like the year before with the women's group, I went with Chopin's The Awakening as it always generates a good deal of discussion and debate. The participants had much to say and comment about the novel and that's always a sign of a good pick. I always appreciate the richness of ideas and thought that the group brings to discussions throughout the program as they often change and influence how I understand the works explored, even though I've read some of these works dozens of times.